As I wind down the week and prepare for a glorious three day weekend thanks to Memorial Day, I thought I would leave you with a cool little tee by OriginalFake…. 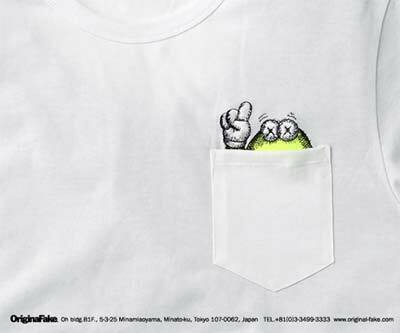 They busted out with an embroidered pocket tee featuring an OriginalFake character climbing out of the pocket. A little clever and very much their style, this one has a chance to be a conversation piece. Enjoy the tee and enjoy your weekend!